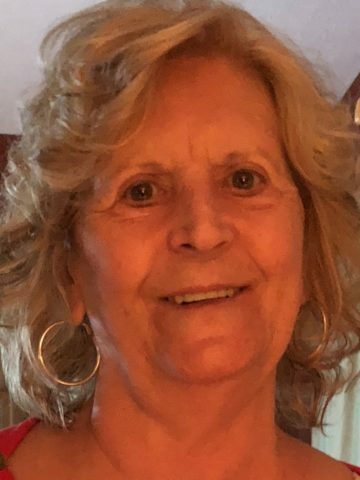 Gloria Gwendolyn Martin, age 76 of Hendersonville, TN passed away surrounded by her loving family on Sunday, January 27, 2019. Gloria was born February 2, 1942 in Madison, TN, daughter of the late Ernest and Mary Lou (Owen) Collins. Gloria, lovingly referred to as Moma, truly loved her family in every sense of the word. She was very protective over them and would drop everything without hesitation when her family was in need. In her spare time Gloria loved to take short trips to visit family and friends as well as watching General Hospital when she wasn’t looking for her greatest new antique find. On September 9, 1961 Gloria was united in marriage to her loving and faithful husband, Thomas Martin, Sr., who survives. Also surviving are her 3 adoring children, Tammy (Chad) Simmons, Debbie Thompson and Tommy (Cindy) Martin, Jr.; grandchildren, Randall Beaty, Ryan Shantel Beaty, Patrick Beaty, Jennifer Miceli, Philip Miceli, Ashley Miceli, Abbey Jean Thompson, Danielle Martin, Ryan Martin, Matthew Martin and Ethan Martin; several great-grandchildren; sister, Donna Gregory; lifelong friends, Carolyn Russell and Annabelle King; nieces, nephews and cousins as well as her beloved canine companion of 15 years, Daisy. Family will receive friends on Friday, February 1, 2019 from 4-8pm at the Hendersonville Funeral Home (353 E. Main St; Hendersonville, TN 37075) and again on Saturday, February 2, 2019 from 12-2pm where a celebration of life will follow at 2pm. Entombment will follow the celebration of life at Hendersonville Memory Gardens. Gloria was my mother’s (Annabelle King) most cherished friend and will be forever missed by her and our family. We all loved her so. Tommy Martin , I’m sorry for your loss and mu thoughts are with you in this difficult moments. Hi Tommy, I am very sorry to hear about your mom’s passing. Please know you and your family remain in my thoughts and prayers. Love and Blessings to you all. Pastor Saul, Trenece and the Eady Family. My heart is heavy with the pain you all are going through at this time. Your Mother raised me like one of her own. May God’s love surround and comfort you. You all will be in my daily prayers. Tommy, I am so sorry to learn of Gloria’s passing. My thoughts and prayers are with you and your family. May God bless you all during this difficult time.